Every year, you and your girlfriends take turns choosing where to go for a weekend getaway. You’ve been to the beach, to Nashville, and even to Gatlinburg before. But if you are ready to do something completely different, something your girlfriends are sure to enjoy, you need to take them to ride the mountain coaster in Gatlinburg. Could Anything Be More Fun? Last year, Aisha took everyone to the Gatlinburg Space Needle, and a couple years before that, Jenny took the gang for a ride on the Gatlinburg SkyLift. How are you ever going to top this? The Gatlinburg Mountain Coaster is the perfect place for everyone. You can hang in shorts and t-shirts instead of heels and your best “night out” clothes. This is the ultimate jeans and sneakers adventure for everyone. To make the ride even more appealing, you can buy day tickets for everyone and then get a significant discount on night ride tickets. They’re only $8 each with the purchase of a day pass, so you and the girls can enjoy the scenery during the day, then come back for a fairy-light-filled night ride. 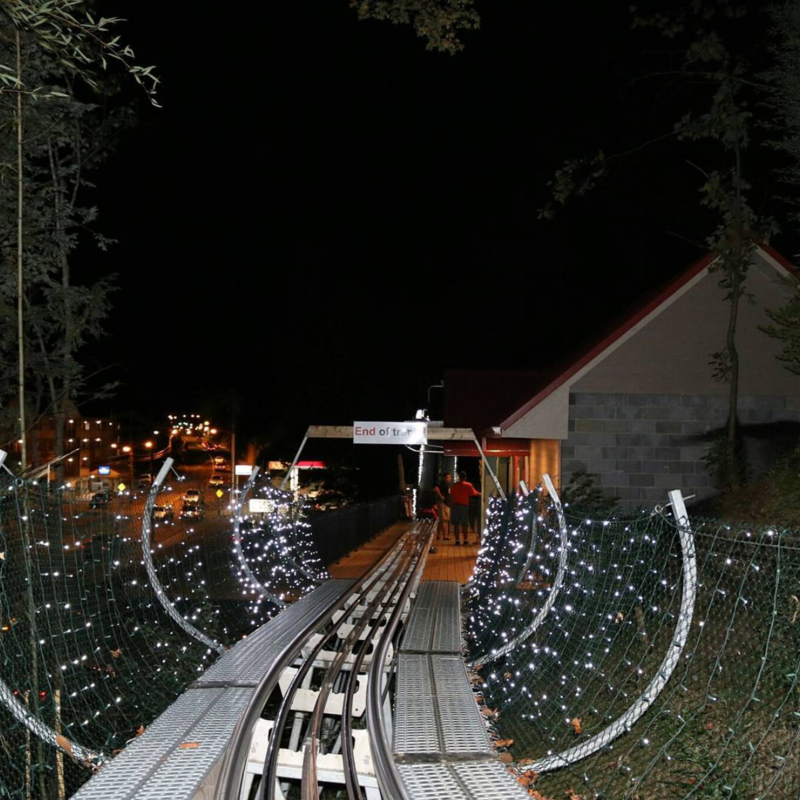 The mountain coaster in Gatlinburg offers something very unique that makes it far more fun than just about any other roller coaster you have ever ridden. You and all of your girlfriends are the ones who are in control of how fast or slow you go down the track. For the more adventurous of the gang, it’s “brakes off,” going all out, all the way down, hitting speeds of up to 35 mph. Fast enough to turn the scenery into a blur on the way down. For those who want to enjoy the scenery, hit the brakes and go as fast or slow as you want. No one cares if you take a few minutes to reach the bottom. In fact, most of our riders slow down along the way. The meadows are spectacular all summer long, covered in an astonishing array of wildflowers, many of which you are unlikely to see anywhere else. Our track cuts through the trees with just enough room for the track and cars to pass by. The maintenance team keeps the tracks in excellent condition. This can be hard to do when the forest is allowed to grow so close, but it allows our riders to be that much closer to nature during their journey down the mountain! 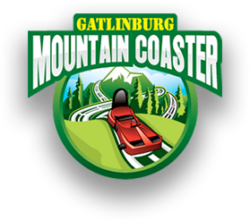 The girls are going to love the day out riding the mountain coaster in Gatlinburg. It is rated as one of the top things to do in Gatlinburg and is extremely popular. You can take a day ride, hit one of the many fabulous local eateries for lunch, take a night ride, and then stop in one the local saloons for a nightcap before heading home. This is how you make your mark when it comes to planning the next girlfriends’ summer getaway. Make Memories and Take Them with You – Don’t Forget to Visit Our Gift Shop After You Ride! How Fast Does this Mountain Coaster Go? Ride It and See for Yourself!